@Hubdoc . @hubdoc in the house for #qbochat. Let’s do this. @jamiemcdonald There should be a bar where we all meet after #QBOchat. Miss you guys. See you next week. @ShayCPA A5 #QBOChat (i’m late) @sosinventory good integration. However there is no silver bullet- especially for those who offshore manufacturing. @ShayCPA @QBOchat #QBOChat – Thanks for the tip! @jamiemcdonald So fired up for #QBconnect. Why? A1. 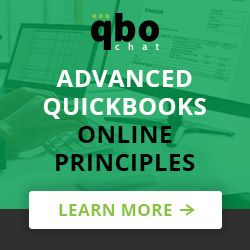 Connecting with #QBOchat peeps.